Pucker up ladies—you’re in for a sweet surprise (not like that). 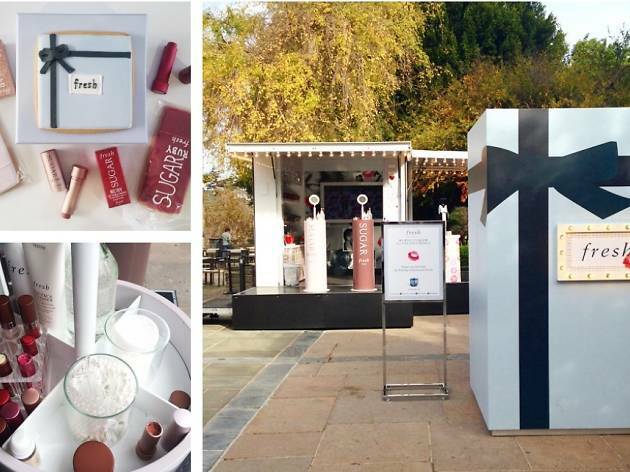 Lip-care aficionados from Fresh.com are bringing their mobile pop-up the Fresh Blue Box to The Grove for a lip-inspired fun fair. 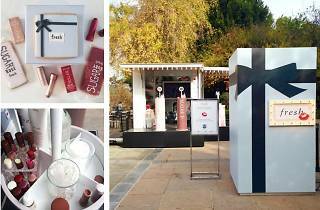 Browse and shop the Lip Makeover stations (shaped like oversized Sugar Lip Treatments), design a customary makeup bag with your own lip print and signature, and receive a free deluxe sample of Fresh’s bestselling Soy Face Cleanser. Plus, don’t walk away from the “My First Fresh Kiss” station without actually divulging your first kiss story—even if it wasn’t so fresh. Winner of the best story gets a $1,000 shopping spree to Fresh.com.